A Free for download collection of Sporty Girl Cartoon Characters. 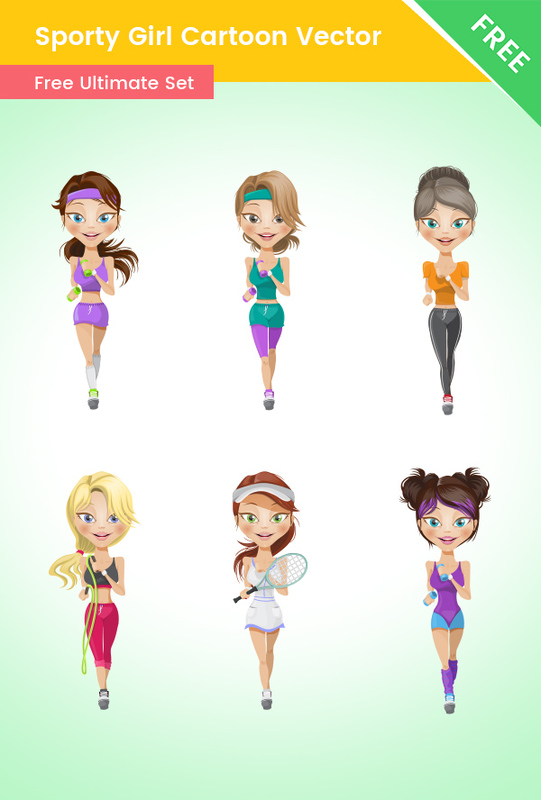 In this pack, you will find 6 cartoon sporty girls made of vector shapes. The characters in this set are made to be compatible with sport, fitness, wellness, and health-related designs. With these sporty girl cartoon characters, you will definitely grab the attention of your audience. All of these sport characters are made of vector shapes, so you can easily change their colors or shapes to make them perfect for your design needs. For your convenience, in the download .zip archive you will find the source .ai, .pdf, and .png files.